The 2017 class of Coastal Civic Masters continues to learn and explore issues facing our region. Since the opening retreat, the class has been busy with their first seminar and trip to Montgomery for CAP’s annual Legislative program. 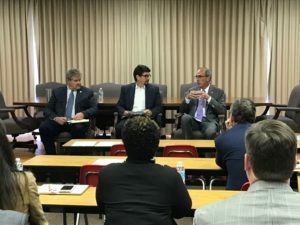 The first seminar focused on building regional consensus and included two panel discussions plus a presentation by Dr. Joe Sumners of Auburn University. 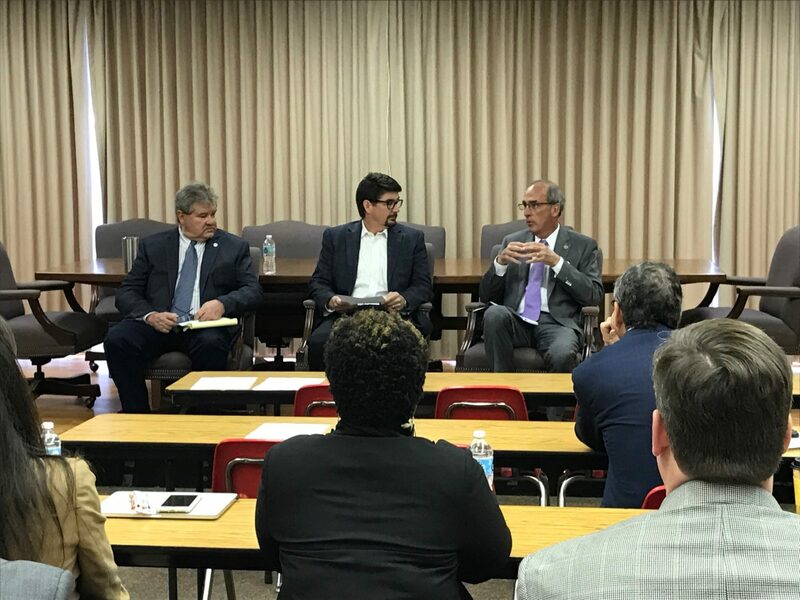 The first panel featured Mayors Sandy Stimpson (Mobile), Michael McMillian (Spanish Fort) and Commissioner Tucker Dorsey (Baldwin County) who discussed ways that they had worked together and overcome obstacles to help move our region forward. A second panel featured Ashley Edwards (Gulf Coast Business Council), Dan Dealy (Southern Rail Commission) and Rickey Rhodes (South Alabama Regional Planning Commission) who each shared how their organization thinks beyond borders to find solutions for creating better quality of life for residents of the Gulf Coast. Dr. Sumners provided a historical overview of politics in Alabama and how decisions then impact how we operate today and into the future. Next, class members joined our annual trip to Montgomery to hear from State representatives, learn about regional and state-wide issues and participate in CAP’s annual Legislative Reception. 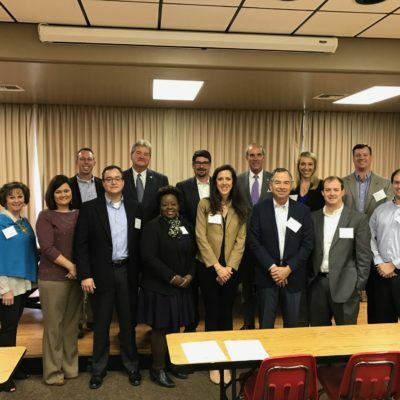 Subsequent sessions will take the class around our two-county region, to explore the seafood industry in Bayou la Batre, to experience the Mobile-Tensaw Delta, to develop strategic recommendations in Spanish Fort and back to Mobile for graduation. Topics that the group will cover include tourism, economic development and regional strategic planning. Ultimately, the class will produce a white paper of recommendations to present to the CAP Board of Directors to facilitate future agendas for our region. Stay tuned as these future leaders envision a bold future for Coastal Alabama!